First high-res look at upcoming PlayStation 4 version. 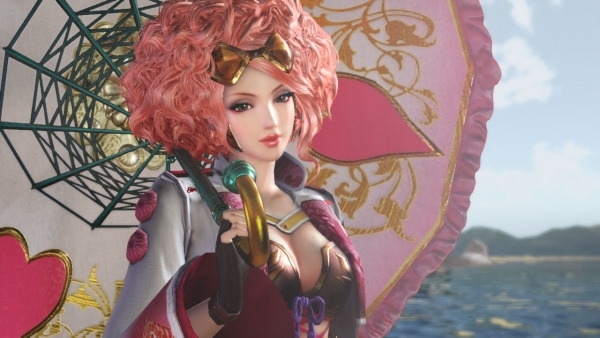 Tecmo Koei has released the first official set of screenshots from the PlayStation 4 version of Samurai Warriors 4, comparing it to the already-released (in Japan) PlayStation 3 version. Additionally, it’s shared images of six of the 18 first generation Samurai Warriors costumes you’ll get by purchasing a first-print version of the game. Also, in addition to enhanced graphics, lighting, and shadows, more enemies on the battlefield, and cross-save, Tecmo Koei confirmed the PlayStation 4 version will also let users influence the game through comments when live streaming. Samurai Warriors 4 is due out for PlayStation 4 on September 4 in Japan, and for PlayStation 4, PlayStation 3, and PS Vita this fall in North America and Europe.